With an increase in competition, more and more businesses are adopting ERP software solutions to digitize their business data. An ERP solution is the best way to get consolidated reports on the various departments in an organization. It shows the management how good or bad things are going in an organization. The plans or targets are available in the system, the actual data can be accessed any time by the management. The ERP software gives the management a comprehensive report on the planned versus the actual data of each and every department of the organization. This makes sure that the damages are quickly identified and the management is alerted. The management can identify the variations and take corrective actions immediately. Graphical representation of data using ERP software simplifies the reports. Thus, management can easily analyze the data for various cost centers and compare them with the budgeted values. The cause of deviations, if any, are evaluated and corrected. Different modules of the ERP software provides essential data regarding a particular department or process in the organization’s workflow. The essential modules of an ERP can be identified only based on the type of business the organization carries on. This module is used at the Point of Sales for retail and wholesale outlets. It is basically used to enter the sales data and stock entry at the point of sales. All data entry at the POS is entered using this module. This is the backbone of all retail, wholesale, production, manufacturing and construction ERPs. It manages the inventory or stock levels. In small businesses it may not be a major module but the processing is done internally as a separate module. It is integrated with the purchase, warehousing and sales modules. This module is relevant for distributors, manufacturers and wholesalers. This module primarily focuses on tracking the efficiency of the flow from raw material to the final sale. Accounting is the basic requirement for all types of businesses. Accounting module is an integral part of all ERPs. It is connected to the various modules of the businesses in different ways to make sure no accounting entry is omitted or repeated in the system. This helps in a proper auditing of the company. Customer Relation Management is also one of the basic requirements of most of the businesses. It may be less relevant for Educational Institutions, construction and agriculture industries since these businesses do not deal with the end consumer. Nevertheless, it is still beneficial since these industries have their suppliers as customers. Warehousing is an important module for wholesale, agriculture, construction and production ERPs. This module handles the data of the warehouse connected to the organization. If the stock is stored at a third party warehouse, this module can be omitted. This module gives options for budgeting and provides various financial statements including ratio analysis to the management. It is usually used by the senior accountants and the management. This module may not be visible to any user other than the management. The MIS module provides all important alerts and comparison reports to the management. The management can view the consolidated reports on various modules and the integrated reports like accounting for production or accounting for warehousing etc. and drill down to the record level data if required. This module handles the data relevant to the Human Resource department of an organization. It is more relevant in organizations that have more than a hundred employees working in multiple locations. This module is relevant for the retail and service oriented businesses although wholesalers can also benefit from it. Every business seeks its identity and visibility in the world wide web or the internet and hence requires a portal. An ERP can provides a portal integrated with various other modules of the business. Retail and wholesale businesses deal directly with clients. Retail businesses have many customers who may or may not be repeated. Wholesale business, on the other hand, relies on few but repetitive customers. Both work in a similar way and require similar modules in an ERP. The following modules are relevant for retail / wholesale businesses. Order Processing â€“ this can be done through the portal also. Operations / Construction â€“ this module is specific to each business. Agri-ERPs are used by big farms and plantations. Portal (This portal can report the relevant student details to the parents and teachers. The portal will also include the fee payment which is integrated into the accounting module. 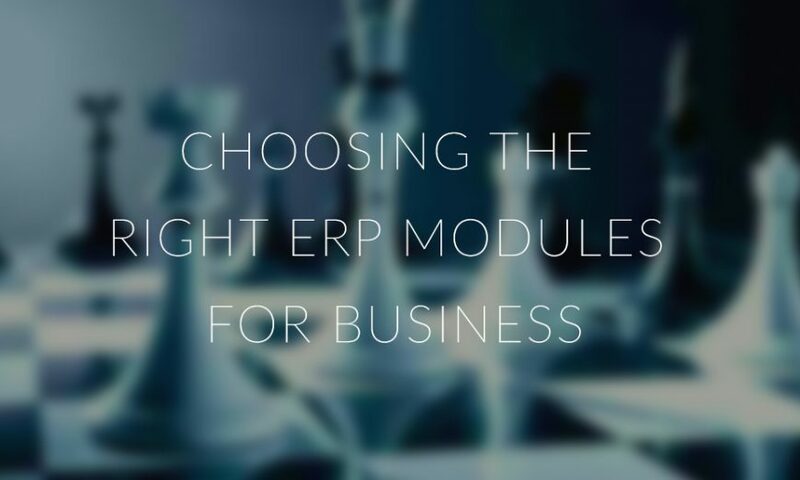 So depending on the type of business and the processes that it follows, the relevant ERP modules can be selected from the available ones or a new module can also be requested. Mobile and cloud ERP solutions are trending now in most of the industries. With more tools for analytics coming up, ERPs are giving very useful analytic reports to the management. Cloud-based ERPs are providing SaaS, PaaS or IaaS implementations to the small and medium busineses which makes them more affordable and approachable to the SMBs. There is SaaS (Software-as-a-Service), which is a cloud implementation, here, the ERP is shared by multiple users as a subscription. 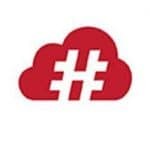 In the Platform-as-a-Service or PaaS implementation, the Platform is shared and under Infrastructure-as-a-Service or IaaS implementation, the infrastructure or the hardware is shared. Cloud vendors like Oracle and SAP are joining hands which is also a good news for the clients. With many ERP solution providers outsourcing Mobile App development, getting a customized Mobile App for an organization that connects to their base, ERP has become easier and faster. Connecting the social media to ERP is also fast gaining popularity. Thank you for the post! I am confused with ERP and Cloud.Now I have clear idea about ERP and their Modules.